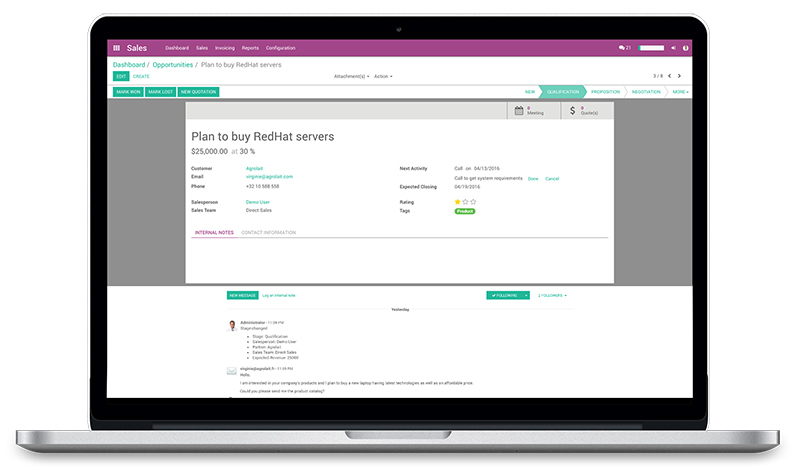 Founded in 1996, the company changed its name from AdventNet in 2009 and began focusing on SaaS services. Zoho is a business applications suite offering more than 30 apps to manage your company. 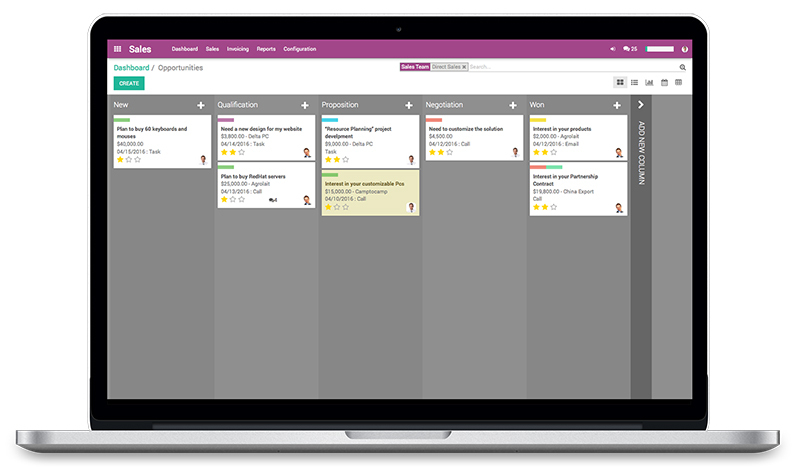 Only available on the cloud, the apps are fully integrated and mobile friendly. This leader in cloud software focuses its budget mainly on R&D projects and insists on the fact that they remain private as no investors are involved. 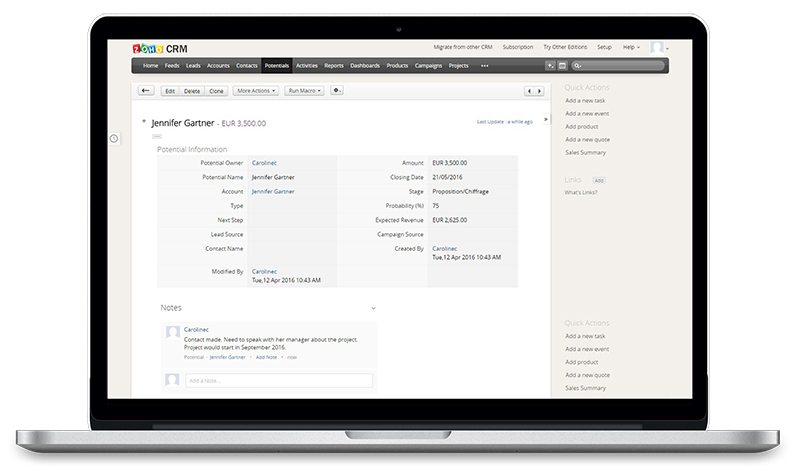 Zoho CRM exists in 4 versions: Standard, Profes- sional, Enterprise, and CRM Plus. 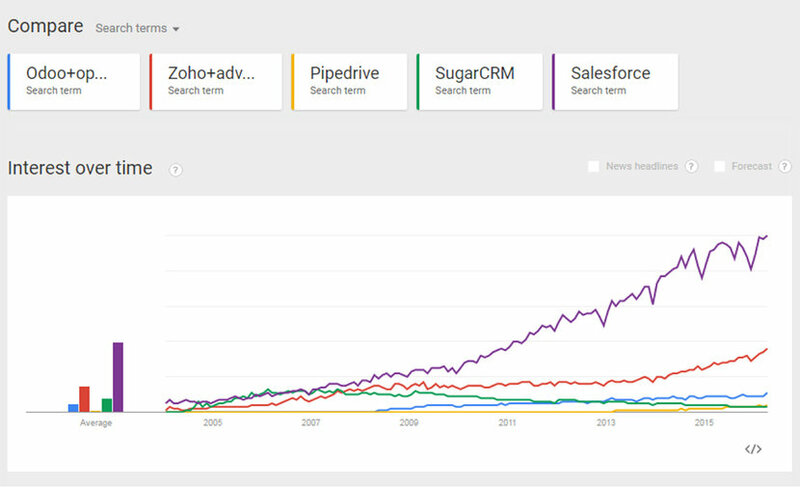 For instances of less than 10 users, you can use Zoho CRM for free. For this comparison we chose to compare the Professional edition. 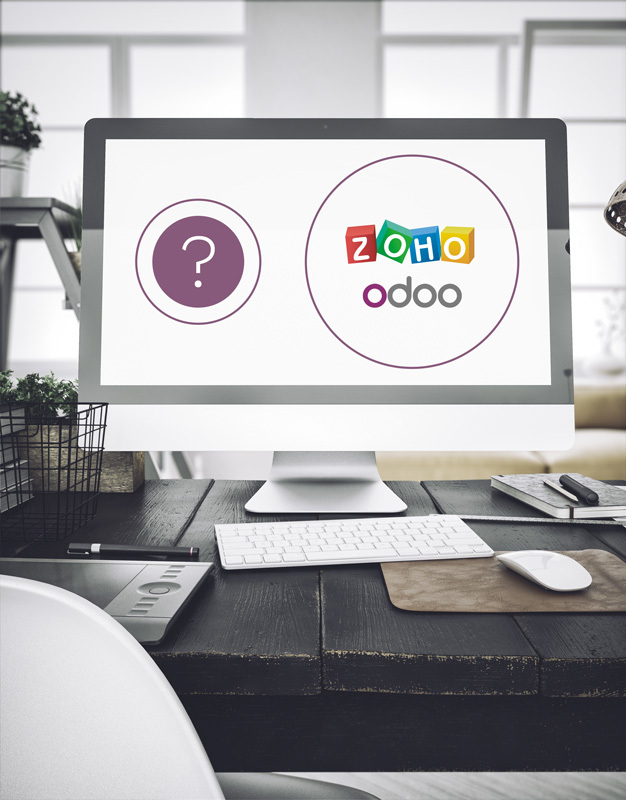 Odoo and Zoho are not exclusively CRM-dedicated softwares. 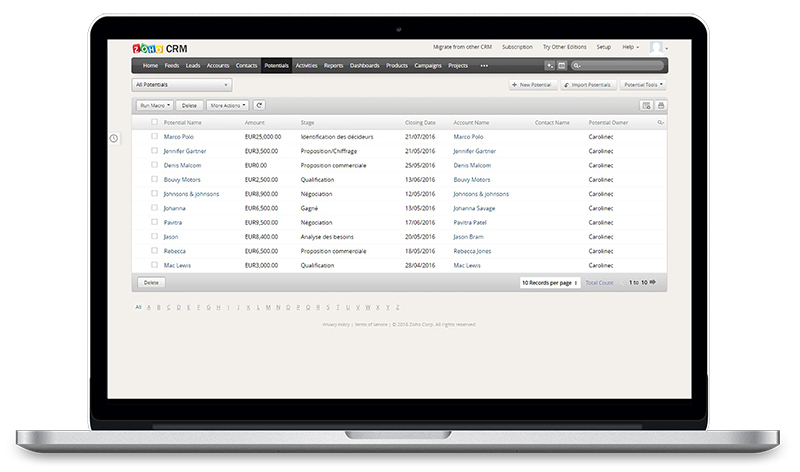 Both are business application suites where their CRM app is integrated with the other apps they offer. Search volume on this graph might include non-CRM searches in this regard.